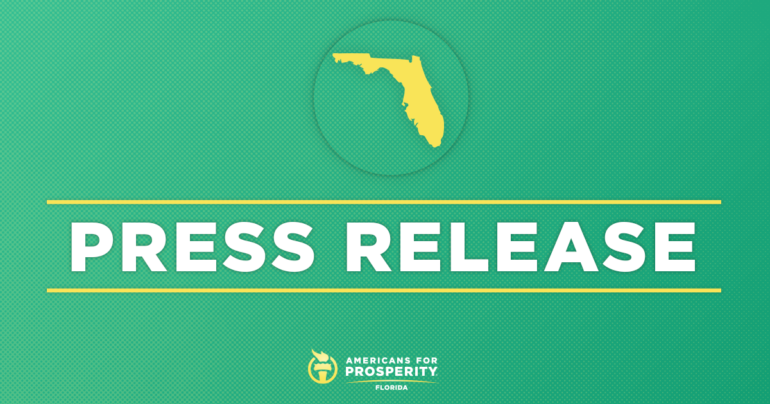 Tallahassee, FL – Americans for Prosperity-FL (AFP-FL) is cheering the passage of HB7055 by both chambers of the Florida legislature. H.B. 7055 creates more accountability and transparency requirements for government unions and establishes the Hope Scholarship, which allows alternative education options for victims of bullying and harassment across Florida. It also makes permanent the Principal Autonomy Pilot Program that would increase the number of schools that benefit from increased administrative flexibility. Education freedom and common-sense labor reforms are key policy initiatives AFP-FL advocates for. As part of the group’s Five for Florida policy agenda, these initiatives are paramount to ending political favoritism, expanding transparency, and empowering our kids with the best education possible as a means to make Florida the best state to live, work, and raise a family. Last week, AFP-FL launched a direct mail effort aimed at thanking members of the legislature for supporting HB7055 throughout the committee process. The mailers called on citizens to thank their lawmakers for expanding education freedom options and transparency requirements for government unions. AFP-FL’s hallmark grassroots activism was also on full display as citizen leaders traveled to Tallahassee weekly to meet face-to-face with lawmakers, help phone banks, and knocked doors to ensure that their voices were heard. AFP-FL will score votes on HB7055 in their annual Economic Freedom Scorecard.